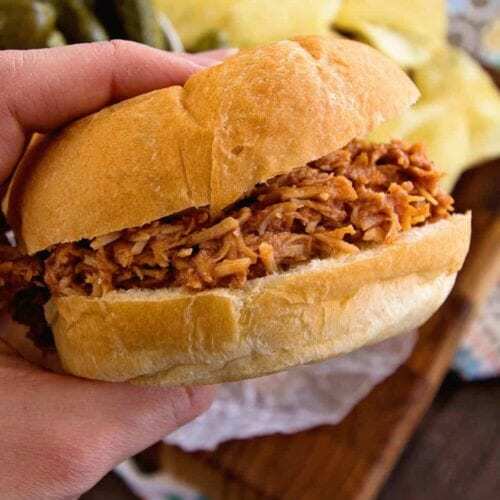 Crock Pot Smokey BBQ Shredded Chicken Sandwiches~ Easy, Shredded Chicken Sandwiches in Your Slow Cooker! 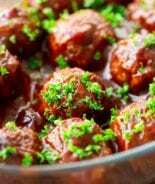 Tender, Moist and Delicious Flavored with Liquid Smoke and Smothered in Barbecue Sauce! Every week I try to plan out a meal plan because it takes one stress out of my life. When I know I’m coming home with a game plan for dinner after work I’m so much more relaxed. Otherwise I’m trying to figure out what’s in my cupboards or freezer and it stresses me out! I try to have at least one Crock Pot recipe on the menu each week because then I don’t even have to do anything when I get home! 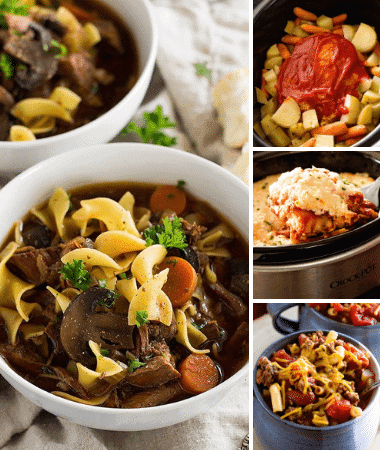 A few of our favorites are Crock Pot Lasagna, Crock Pot Swedish Meatballs and Crock Pot Hearty Chili Mac! 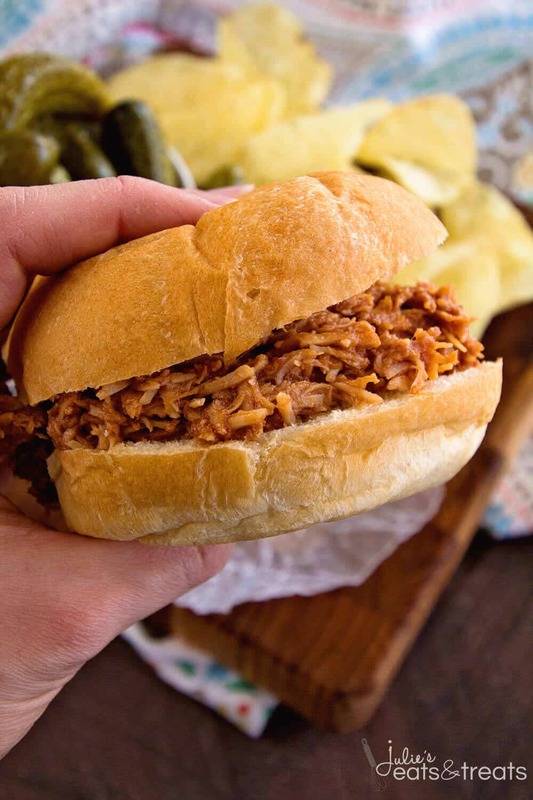 I can’t believe I haven’t shared this Crock Pot Smokey BBQ Chicken Sandwiches before this! It’s also another one of my favorites. I love it during the summer too when we are at the lake. I just throw in all the ingredients in the morning and it makes a great lunch, so we can be out enjoying the lake and not worry about lunch. It’s there when we need it! Or we could apply that to the winter and we can be out sledding and come into a warm dinner! Anyone else other than me dreaming of beach days? Riding the pontoon? Enjoying your paddle board again? Lately Miss K has been asking when it’s going to be summer so we can go to the lake. Girlfriend not soon enough is my typical reply! Luckily we were not part of the huge amounts of snow this past weekend. Watching everyone’s Snapchats on that made me thankful for that! In fact, if I don’t say so myself, it seems that Minnesota gets a lot less snow than we used too. A lot of time there is hardly enough to ride the snowmobiles! I remember drifts that were taller than the car when I was little. It was like driving through tunnels on the highways. What happened to that? Blizzards where you’d have to stay inside for days and do puzzles and relax because you couldn’t see the other side of the yard on the farm. Or the barn! I remember when dad used to go out to the barn and I thought we should tie a rope to him to make sure he’d get back to the house safely like they used to do many, many years ago! Ahhhh the imagination of children. I mean if it’s going to be winter and it’s going to be cold. I think we should have to have a few mandated blizzards so we need to stay inside with the family and relax. I love when you have to do that and there’s no other choice. Then you don’t feel guilty for just hanging out and doing nothing! 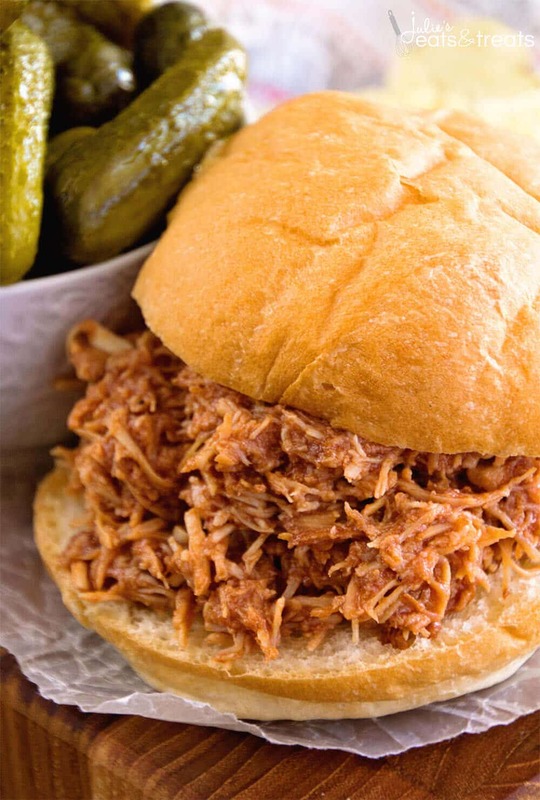 My blizzard day would include my family, a big roaring fire and a few of these delicious Crock Pot Smokey BBQ Shredded Chicken Sandwiches. What would your blizzard day include? 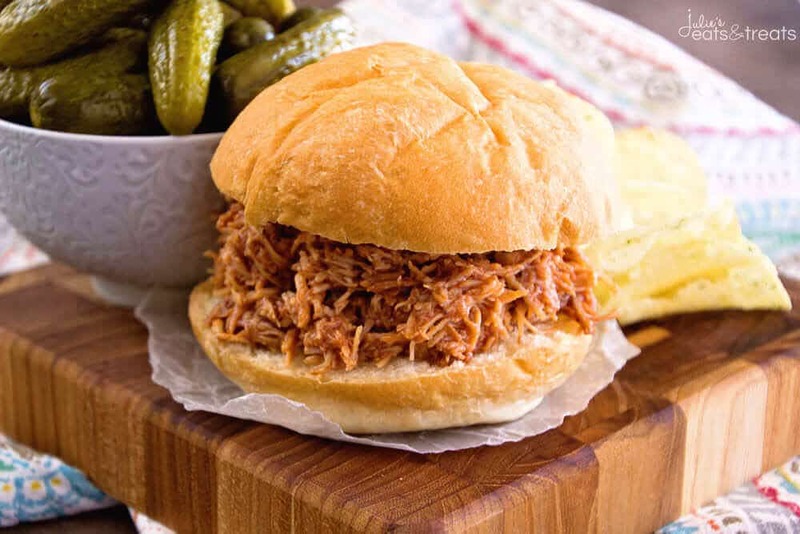 Easy, Shredded Chicken Sandwiches in Your Slow Cooker! 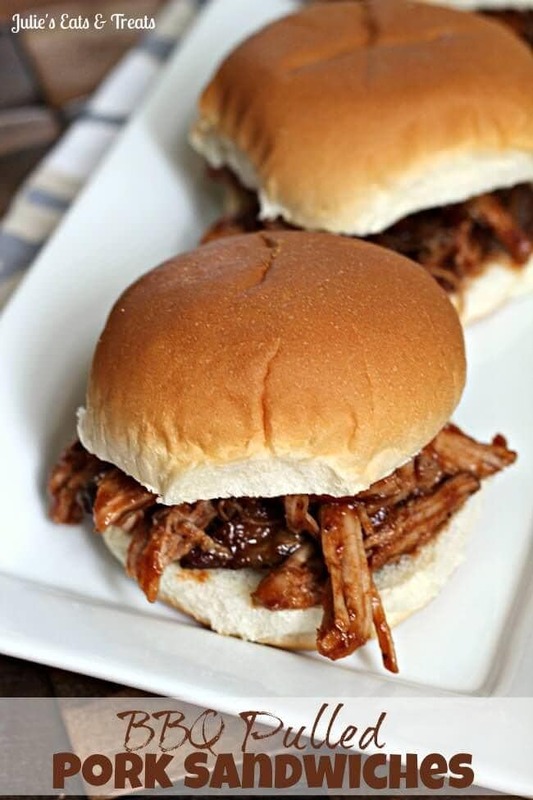 Tender, Moist and Delicious Flavored with Liquid Smoke and Smothered in Barbecue Sauce! Place chicken in slow cooker. Pour water and liquid smoke over chicken. Cook on low 4-6 hours. Remove chicken from slow cooker and shred. Drain liquid from slow cooker except for 1/2 c. Add 1/2 c. liquid from slow cooker to chicken and mix. Add BBQ Sauce to chicken and place back in slow cooker. Heat on high until mixture is heated through. 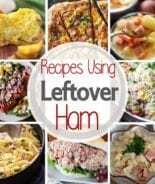 Craving More Crock Pot Recipes? 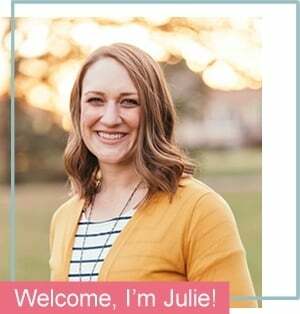 Follow my Best of Crock Pot Recipes Board on Pinterest! 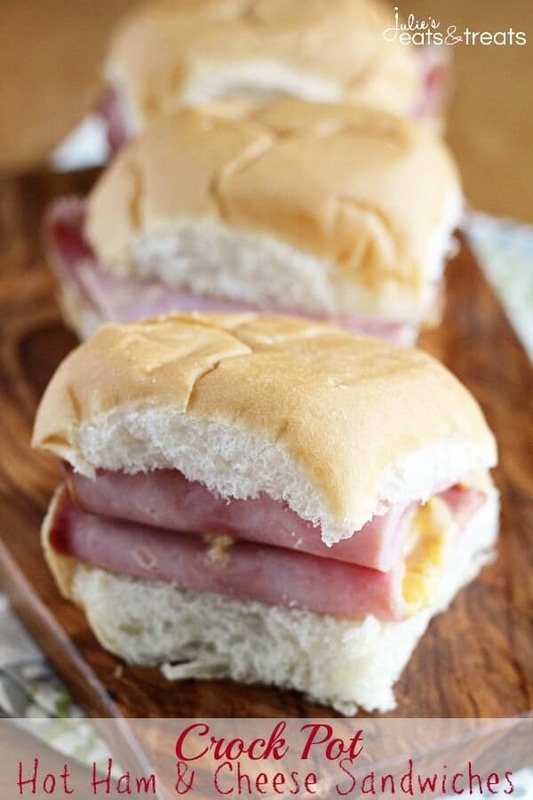 Crock Pot Hot Ham Cheese Sandwiches ~ Amazingly Easy Cheese Sauce Smothering Ham in Crock Pot for a Delicious Sandwich! 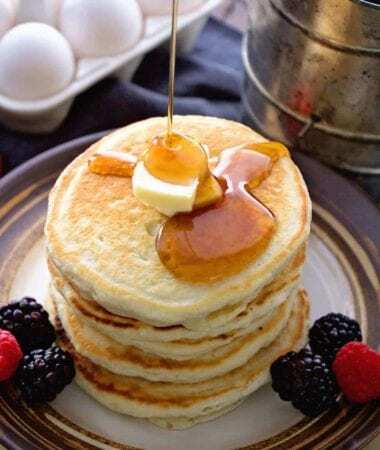 Mmmm, I need to stop at your house when you are making this again, because it was delicious! 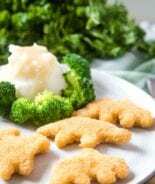 Loving these crock-pot ideas! Lovely! 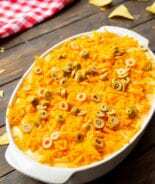 I love your great recipes! 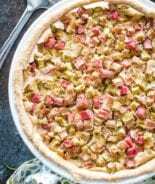 I tried this recipe out yesterday. I was wanting barbequed chicken, but was unwilling to go out in the rain and make it happen. This meal was phenomenal! My whole family loves it. I loved it so much that I’m planning on making it for board game night with our friends next week. I got a little ambitious and had the time, so I also made my own Kaiser rolls to go with this delicious and amazing chicken. I’m so glad you enjoyed it! Have fun on board game night! I think I need to start that type of game night with my friends!